Solid Black Walnut storage bed built to last generations. 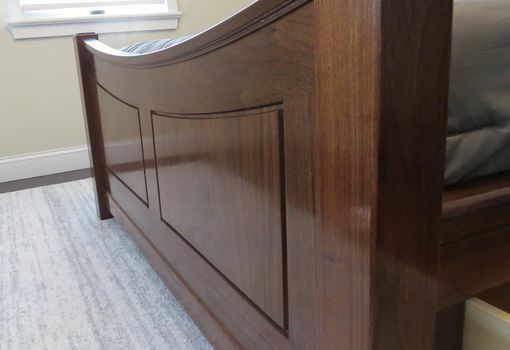 This bed is made of Solid wood throughout and built with all classic joinery such as mortise and tenon and hand cut dovetails for strength and beauty. 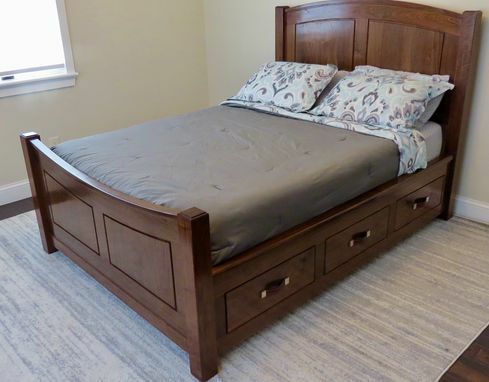 This bed also features beautiful curved head and foot boards along with soft close drawers and leather handles so you wont scrape your ankles when sitting on the bed. I can make this in any size you like and we can alter the design to your liking.